If you own a business that has outside doors, you will need to comply with certain AZ building codes in order to continue occupying your space. Panic bars began to be manufactured in the early 20th century as a way to protect customers and employees in the case of a fire or an emergency. We can keep your business fire compliant anywhere in Phoenix AZ! We will design you the type of exit devices that will work with your property and business type. We have tons of experience with panic bars and exit devices and will take the time to understand what your business needs. We are proud to offer these services as one of our commercial locksmith services. We can repair, install & design systems with the best brands on the market: ANSI, Arrow, Adams Rite, Detex, Dorma, Monarch, Sargent, First Choice, Cal Royal, Corbin Ruswin, and Jackson. Whats the purpose of a panic bar? Exit devices & panic bars are designed to provide people and easy to open door in case of emergency. 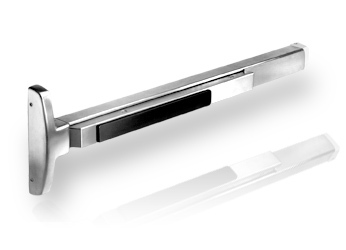 These type of devices will provide a secure outside of the door frame from the outside, and easy opening from the inside in case of emergency. 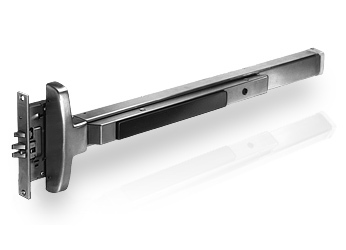 Other types of door devices that we work on include; automatic door closures, concealed vertical rod, mid panel, UL fire rated, narrow stile glass door locks, touch bars, crash bars, delayed egress, rim style exits, surface vertical, push paddles and more! Awesome company. Fast service and they got the job done right. I would recommend them to anyone needing exit devices installed in their business. 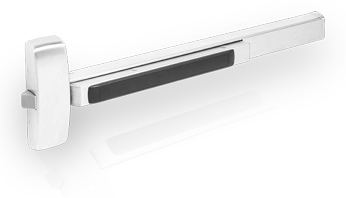 We called Phoenix Locksmith Pros to have touch bars installed at our facility. They were able to accommodate to our needs and install the touch bars without costing us a fortune. This will certainly be our first call in the future. Thank you so much Phoenix Locksmith Pros! Phoenix Locksmith Pros came by my business today and repaired my broken crash bar. I would give them a 10 star rating if i could! They arrived on time, and had my exit devices installed and working in no time. Hope to not need them anytime soon but when I do, i'll be calling Phoenix Locksmith pros. Amazing service. I can't believe how fast these guys are! It is incredible. You can trust that the job will get done right if Phoenix Locksmith Pros are on it. We recently opened up a new business and had Phoenix locksmith pros come out to make sure all of our buildings exit devices were functioning properly and up to date with Arizona building codes. They were so professional and polite. I am very impressed with their services. We were having an issue with one of our panic bars getting stuck and not closing all the way. We had dealt with a different company when originally installing them but we weren't very happy with their customer service so they weren't high up on our list when looking for someone to come repair it. It didn't take long for us to find Phoenix Locksmith Pros, we gave them a call, and in no time they had someone there with us to examine our system and make sure everything was functioning properly and he repaired the bar we were having an issue with. They went above and beyond to make sure we were taken care of! We will definitely be calling here first the next time we need a locksmith! Our crash bar was stuck in the open position and we couldn't get it closed. After a couple failed attempts, we called Phoenix Locksmith Pros and there tech came out and made it looks easy! Had our crash bar repaired and working again in minutes. Excellent service! Incredibly fast!! I highly recommend them to anyone looking for a great locksmith. You can tell these guys have a ton of experience with installing exit devices!! They were arrived on time and had my panic bars installed and functioning very quickly. I will for sure be calling Phoenix Locksmith Pros next time I need a lock smith! Hands down the best locksmith services in the valley. Incredible staff! Thank you guys for installing my crash bars today!